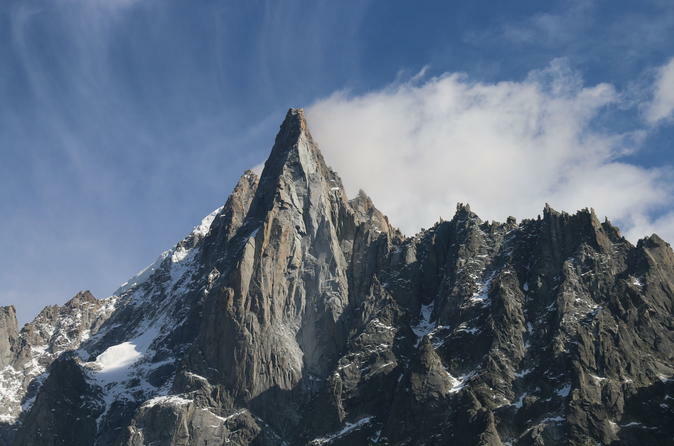 Discover natural beauty and spectacular scenery around majestic Mont Blanc on this 10-hour Chamonix sightseeing tour from Geneva. 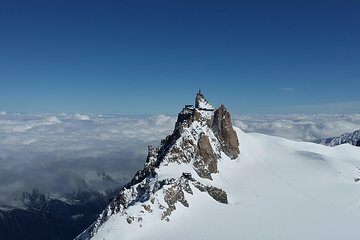 Take the Aiguille du Midi cable car to the top of the French Alps with a guide and discover a world where the snow never fully melts. Take in panoramic views over surrounding peaks such as the mighty Matterhorn in Switzerland. Enjoy a delicious lunch in a local Chamonix restaurant. Then travel by traditional cogwheel railway up the steep mountainside to the Mer de Glace Glacier before returning to Geneva. This is a wonderful tour, the only thing that would have made it better is if we could have gone to the top. Beware the 500 steps down to the glacier you have to climb back up but worth the trek down. The ride wasn't too long, about 1 1/2 hours. The guide was a bit grouchy but we ignored him. The town was so amazing and quaint. The lift to the top f Mont Blanc was scary. If you are afraid of heights you may want to think twice and the air was very thin! It was cold, icy and raining at the top so we didn't get to see much. The lunch was at the most adorable restaurant and we are still talking about it! Really loved it. The train ride was fun but again, if you are afraid of heights once you get up the hill on the train you may want to stay in the restaurant/store if you don't want to ride another lift down to the ice caves. Over 400 steps to climb up and down in the ice caves. All in all this was a pretty scary but fun adventure. The guide was a waste of time, she was only a ticket collector! Tour is very well organized. Guide Maria was very nice and professional. The weather was amazing blue sky with almost no winds. Beautiful landscape. This was the highlight of our trip to Europe. The tour guide was fantastic and very knowledgeable. Tickets are provided to you and then you're left to explore at your own leisure, which is very nice. We had the lunch included, which was at a nice restaurant in town and definitely exceeded my expectations. Highly recommend it!!! Awesome trip and must see places Mont Blanc Cable car ride and Ice Clave , Ice mountains and Train to Gracia great experince. Mountains looks too attractive. The Guide Neil from Key tours explained very detailed about trip , attractions, timings to return and total time 10 Hours , Morning 8.30 Am started , returned at 6.45 PM .